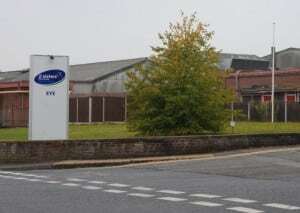 A chicken processing plant in Suffolk is to change hands next month with a halal meat operation taking over the site. On July 5, processing by 2 Sisters Food Group will cease in Magdalen Street, Eye, with Scottish-based company 1Stop Halal immediately taking over production at the property. No jobs will be lost during the transfer between the two companies, as employees from 2 Sisters will be TUPE-transferred to 1Stop Halal. In the region of 215 employees will be based at the site. Under government guidelines, the move means their current employment terms and conditions transfer to their new company, and their continuity of employment is maintained. 1Stop Halal has already taken over one site in the county previously owned by 2 Sisters, Haughley Park in Stowmarket. The halal producers took over the 200,000 sq ft site in July last year. In 2013, up to 700 jobs were lost after 2 Sisters closed its factory on the site, saying it was “unviable” and “unsustainable”. A spokeswoman for 2 Sisters said yesterday: “Following a strategic review of our poultry processing manufacturing footprint in the UK, the business can announce it is proposing a transfer of the operations at its site in Eye, Suffolk to another party. “Existing employees at the site will be TUPE-transferred to this new business in due course. A spokesman for 1Stop Halal confirmed it would be taking over the site on July 5, and also mentioned the TUPE-transfer of employees.